Moore-Hancock Farmstead log cabin Austin, Texas. Copyright Robin L. Chandler 2014. 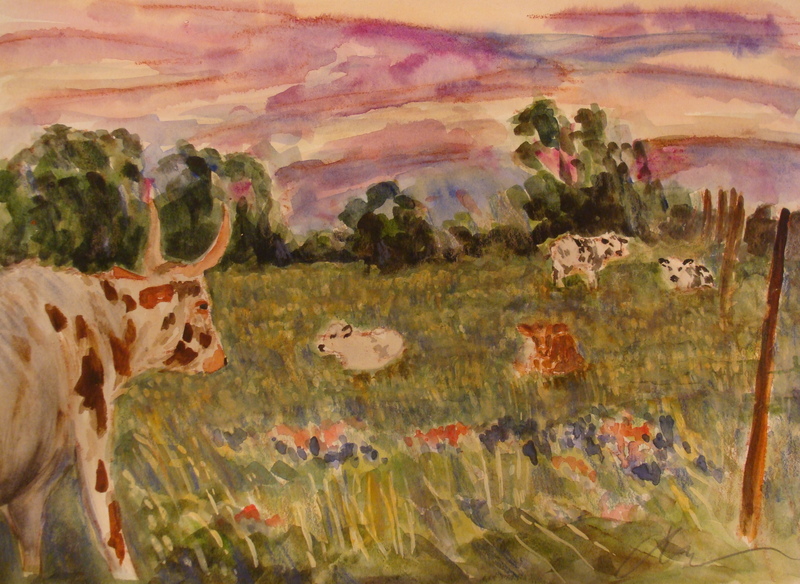 Longhorns, Bluebonnets, and Indian Paintbrush. Copyright Robin L. Chandler 2014.
owned by their masters such as the Moore-Hancock Farmstead. 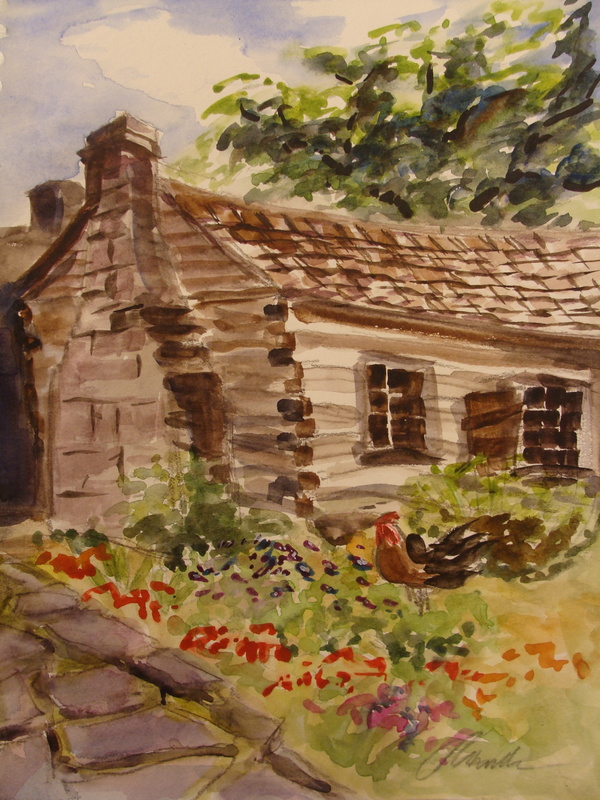 Built in 1849, the Moore- Hancock home is the oldest Austin log cabin on it’s original site and a tangible link to 19th century African-American history in north-central Austin. The Freedmen communities thrived until 1928 when the Austin City Master Plan achieved segregation by zoning East Austin as a district where services and amenities such as plumbing and paved roads would be provided to African-Americans. With this zoning plan, Austin sought to draw African-Americans to the East side of town and extinguish black neighborhoods encroaching on expanding white Austin. Some eighty-years later, East Austin is gentrifying as popular food venues such as Franklin Barbecue have opened (just down the street from the historic Chitlin’ Circuit nightclub the Victory Grill where one of my favorite blues players W.C. Clark got his professional start) and the Rosewood Courts Housing Authority seeks a listing on the National Register of Historic Places. To learn more about these neighborhoods, read Michelle Mears book And Grace Will Lead Me Home: African-American Freedman Communities of Austin, Texas 1865-1928. HBO documentary films just released the film All About Ann: Governor Richards of the Lone Star State and it is recommended viewing!